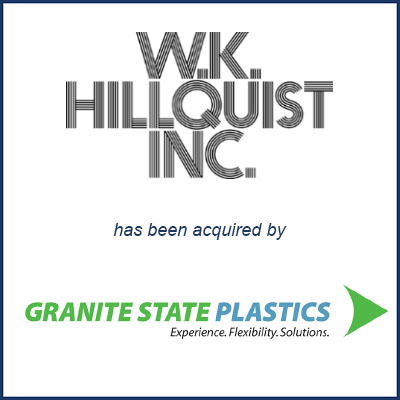 Londonderry, NH – August 2017 – Granite State Plastics of Londonderry, NH has acquired Hudson, NH based W.K. Hillquist, Inc. Granite State Plastics (“GSP”) supplies precision injection molded parts and assembly services to several industries including medical, automotive, industrial and sporting goods. Molding Business Services served as the exclusive advisor to W.K. Hillquist, Inc. in connection with the sale. Plastics News published an article regarding this transaction. Read the Plastics News article.